IMDb will soon close and erase their 18 year old message boards. Media coverage of this announcement has generally followed a similar theme: Trolls forced them to close. Blame the trolls. They were unstoppable. 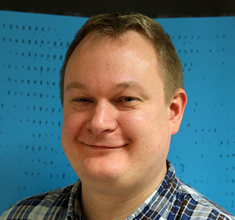 Timo Tolonen is a people and project manager from the video games industry who saw the light and made the very sensible leap into community some 6 years ago and hasn’t looked back since. He is currently the head of community at giffgaff, a mobile phone provider in the UK that believes that together with their members anything is possible. 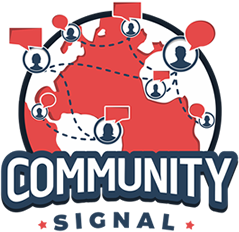 00:05: You’re listening to Community Signal, the podcast for online community professionals. Tweet as you listen using #CommunitySignal. Here’s your host, Patrick O’Keefe. 00:20 Patrick O’Keefe: Hello. Thank you for listening to Community Signal. Our guest this week is Timo Tolonen. We’re going to do a deep dive into IMDb’s decision to close their 18-year-old message boards and talk about community powered mobile phone company giffgaff. Timo is a people and project manager from the video games industry who saw the light and made the very sensible leap, his words, not necessarily mine, into community some six years ago, and hasn’t looked back since. He is currently the head of community at giffgaff, a mobile phone provider in the UK that believes that together with their members, anything is possible. Timo, welcome. 00:53 Timo Tolonen: Thank you very much, Patrick. Glad to be here. They go on to say that, “Increasingly, IMDb customers have migrated to IMDb’s social media accounts as the primary place they choose to post comments and communicate with IMDb’s editors and one another. IMDb’s Facebook page and official Twitter account have an audience of more than 10 million engaged fans. IMDb also maintains official accounts on Snapchat, Pinterest, YouTube, and Tumblr.” I feel like I need to point out that the 10 million figure actually is inaccurate. It’s not 10 million engaged fans. It’s 10 million combined Twitter followers and Facebook likes, and at the moment it’s not over that number. It’s under. They have 2.99 million followers and 6,902,134 likes. Their Facebook page analytics say they have 144,442 people talking about this. So, that’s the engaged number. Most of the recent Tweets on their account show Retweets in the double digits with likes in the double digits to low hundreds. So, are there more people commenting on their social media profiles than they are making posts in their message boards? Who knows? Because we don’t have that data, but various blogs, news sites, and media outlets have covered this story, many in a dismissive way, saying how IMDb message boards were an awful place, alluding to the weight that trolls had on this decision, implying that trolls essentially forced IMDb to close, lest they have to exercise undue burden to foster a healthy community. It was that narrative that attracted me to the story and prompted me to talk about it online, and that led to replies from Timo on Twitter and I decided it would be a great topic to unpack on the show. We both have solid experience to pull from. Speaking for Timo, I was on the giffgaff community last night. It was 4:00 a.m. in the UK, and there were around 3,700 logged in members at that second, plus another 5,000 guests. At a more reasonable hour during the workday on a Tuesday, I saw 5,200 logged in member and 7,000 guests, just at that one second. So, we can definitely talk about communities at scale, complaints, angry people, and trolls, and hopefully what I want to do is bring some perspective to this story from people who can fathom that scale and the challenges that you face. So, let’s start with the idea that trolls can force communities to close. I feel like IMDb is really getting off easy here in how most of the coverage of this issue is failing to take them to task for allowing it to get to this point. 03:56 Timo Tolonen: Yeah, that’s exactly what struck a chord with me with this, was how so many publications were all talking about this, kind of approaching it with a shrug or like, well, this was bound to happen. This was the inevitable conclusion of the forum area. It’s a narrative I’ve seen repeated previously as well when we’ve had NPR close their comment section. Vice, I think, towards the tail end of last year did the same thing. There seemed to be this general acceptance that this was the norm or that this was acceptable or this was inevitable. I found that was the thing that kind of stuck with me and I found very frustrating. When you have a company the size of Amazon, I appreciate the community issues, as well, but the company backing it is huge as well, and I’ve been at this for a while. The secret I’ve learned about community is the fact that, as much as we may like to hide this fact, it’s actually not that complicated. This is a solvable problem, but you need time, money, resource, and effort, and the desire to fix the problem. 04:52 Patrick O’Keefe: Yeah, you mentioned Amazon. I just read a discussion in preparing for this show of people who were talking about how it’s so unreasonable for them to keep the posts online. I’m not ignorant to the fact that a database of that size, even archived, even pulled off of a live database—let’s say they just do a whole scrape of the website and keep it online for people. It’s not that much. They can figure it out. They can allocate some servers if they really wanted to, but that’s kind of an overwhelming theme here is, it’s just too hard, this problem. You touched on. It’s like the inevitable conclusion. Well, we had a community. Yes, it was nice for a while, but it got so big, and oops, that’s it. That’s all we can do. We’ve got to close it now. It’s just too hard. It’s just too big. It’s just too difficult to manage so many different sections. These are the things I’m hearing, but there are potential solutions to these problems, and for IMDb to say, we have determined they are no longer a positive place, you can’t act like you didn’t have a hand in that. Trolls don’t force companies to close communities. Apathy is what leads to communities being closed, and it’s fine for priorities to shift. Nothing lasts forever. Communities close. That’s fine. I’ve closed communities, but let’s not pretend like IMDb gave these message boards everything they had and then, oh, well. Mother nature had her way. 06:01 Timo Tolonen: Yeah, that’s exactly right. That’s something that is getting to me at all of this, because I’ve seen the same narrative repeated, where companies are—I think IMDb used the terms passionately committed, and I believe Vice said that they value conversation and value engagement, but that passion and commitment and value doesn’t actually translate to an investment, and that’s really what was happening here, really, at the end of the day is, when left to its own devices, yes, both of us have seen this happen to smaller companies as well. If it is not motivated, if there’s no community management presence, this is what happens, but it can be averted effectively. There just doesn’t seem to be a desire to face that or to put anything in place to address it. 06:42 Patrick O’Keefe: As you said, it can happen to small communities. If you launch a community and you don’t pay attention to it, these problems happen to you at no scale. It doesn’t matter what scale you’re at, this can happen. I don’t want to say they haven’t tried some things, because I think that they probably have attempted things at various points in time over the last 18 years, but there are so many potential ideas. I saw someone say, they have so many sections they can’t deal with. Well, who said they have to have all those sections? Who put that into law, that they have to have a board for every movie? Or that they have to have a section for every topic or a board for every actor? Who decided that? You can close things. You can have things be timed. You can leave things open for certain windows. There are problems you can throw people on. There are problems you can throw tools on. There are filtering tools out there that don’t cost all that much that you can run things through, and they may have tried some of the things. But at the end of the day, this inevitable march to just the helplessness of trolls is so in a way disrespectful to the community profession, as if we can’t do anything. That’s it. That’s all there is to it. It’s one of the things, when you have people talk about community who don’t necessarily understand what it means to run a community behind the scenes, I think you run into that, and there were a lot of people who had very quick hot takes on this story, piling on to the closure, pointing out the worst of IMDb. TechCrunch’s Sarah Perez refers to it as “one of the worst comment sections on the Internet”. Brian Menegus of Gizmodo says that “nothing of value was lost”. But if you dig in a bit, you read the comments on those articles, and the wider reaction on the Internet. You don’t have to look long to see people saying that they found value in IMDb, that they had good discussions there. You can find people who say they are upset it’s closing on social media sites, on the IMDb message boards, on the IMDb Get Satisfaction site. I can’t say I was active on those message boards, but these people were, and it’s not uncommon for a single social site to house both thoughtful commentary and terrible, awful, offensive trolling and worse. 08:43 Timo Tolonen: Absolutely, and I feel like moves like this implicitly endorse the narrative of comment sections and communities being inherently worthless due to a minority, and that we are somehow powerless against those forces. That’s something that is, I think, interesting seeing that come across. I think there’s also something, because they talked about careful consideration that was based on data and traffic. So, they talked a lot about how they tried to adjust it from two angles. One is the quality of conversation and then the quantity of conversation. I’ve seen the same thing being mentioned elsewhere as well, of, we’re not getting quite the amount of people that we do see on social. As you mentioned, they talk about their “10 million” engaged fans on their social side, but I think there’s an inherent danger to think about these things in majority and minority when you’re talking about engaged communities. Again, NPR, when they closed their comment section, they talked about only having about 19,000 active members in a given period of time. Okay, that only represents, I think it was 0.06% of their whole viewership or listenership, but that’s still a pretty significant amount of people who care enough about your service or your product or your show to get together to talk about it. I feel like this is looking at the bad minority and making a decision based on the bad minority than potentially who would actually be a majority of the total minority of community users, if that makes sense. 10:06 Patrick O’Keefe: And let’s not lose sight of the fact that when you talk about things like traffic and how the message boards are this percentage of traffic, you can’t disconnect that point from the fact that you don’t emphasize them as much as other features. I remember I was looking at a job a year or two ago. It was at Hearst Publications, community job, and it was to oversee comments and community at some of their publications. I think Cosmopolitan was one of them. I went to the Cosmopolitan website, and this is a well-known brand, well-read magazine. Popular website. I go to the comments for their top story, the one that’s featured on the home page, up front, above the fold, front and center. The story had no comments, and the reason was, at least partially because I had a tough time finding the comments. They had it hidden three-quarters of the way down the page, after the article, after related articles, after ads, after other things, after other articles you could read. It was just a single Facebook comments box with nothing else around it. It’s about 50 pixels in height, and they had no comments. It’s a wonder why. If you look at IMDb and how they feature the message boards, there was a top-level navigation news and community. You have to highlight that, then you click message boards, and it’s toward the end of that menu. But on the pages themselves, the film pages, the actor pages, it’s very much on the lower end of the page. I’m not saying it should be higher up, necessarily. Their bread and butter is reference content. Who’s in that movie? When is that movie coming out? Who directed it? Totally get that, but part of the picture is when you have Facebook at the top-right of the page with your Twitter and Instagram and maybe you’re doing a more active job of promoting those channels versus pushing people to other areas, obviously, that’s going to have an impact on the percentage of traffic that the less loved, internally perhaps, feature is receiving because of the lack of promotion. 11:56 Timo Tolonen: Yeah, absolutely. It’s interesting, because a potential solution to this, like you referred to earlier as well in the show, would have been to reduce the amount of communities they have. If that was truly the issue, that it was so widespread that it was impossible to moderate from that point of view, maybe it would be a case of consolidating it and then putting it more front and center. So, I feel like to act like there isn’t substantial accumulated value in these posts, it’s tremendously shortsighted, and maybe that is the value of IMDb, and maybe we’ll explore that further, is in that long tail. When you watch a movie from the ’40s, where are you going to discuss that online? You go to a movie forum, you could Google it, you could probably find some forums, but essentially these movies, they’re pre-Internet, obviously. There’s no fan site, most likely, for The Lost Weekend from 1945. So, you’re going to go to the definitive reference site, maybe to talk to people who will understand that movie. IMDb is in a position to really house those discussions. I really feel like that’s a great example of how there is value in this content and how it’s not just a sea of trolls. It’s not just all trolls. 13:38 Timo Tolonen: Yeah, and I recognize myself in that an awful lot. That is the exactly the behavior I’ve done with IMDb myself, which is I discover a movie. I’m a bit of a film buff, so I’ve seen movies from back in the day or slightly obscure indie films. IMDb, just by virtue of Google, is one of the few places that you end up where you see conversation about these movies. Again, like the slightly more niche movies, you’ll have people who are invested and dedicated and who will have some insight to it. I guess, looking at the decision that was made, IMDb as a company looked at that and realized, is this what we want? Is this something that we want to be moderating, dealing with? And they made they decision, no, which I think is, like you say, it’s a real shame because I think that this was the home for a lot people who were very engaged in the films in general, and this was a great home for them to meet like-minded people. So, I do think that there’s a net loss to film culture online because of it. 14:29 Patrick O’Keefe: Yeah, and it feels like, and there might be some efforts to archive it, like there were at some forums when forums close sometimes, Internet Archive steps up or archive.org or those sorts of services step up to archive something. There’s Google cache, and the Wayback Machine. So, some of this stuff will be preserved in one form or another, but it’s not just like I’m closing my community I launched that has a few hundred thousand posts. IMDb is the definitive movie site, so it stands to reason that there are posts there that were written by wannabe filmmakers who are now winning Oscars. Or there are posts there by people who were no-name actors who are now stars. It’s not uncommon. There are old hip-hop forums people talk about where that rapper who’s now a big deal was on there, or that producer who’s now a hitmaker was on there. So, culturally, IMDb is very significant to film, especially film from the ‘90s on and the discussion and critique of film. So, to wholesale clear that out, it just feels like there’s a lack of appreciation for the significance of that simply because maybe a not-so-small percentage, a large percentage of it was people who acted out or were allowed to act out. Again, that wholesale deletion, I think, is really unfortunate. 15:41 Timo Tolonen: It feels quite mercenary, like you say. IMDb has something of a legacy and has actually contributed to film and cinema culture in a massive way in the online world. So, to just close down wholesale is a sad day, really. You also made a great point on Twitter, actually, talking about one of the potential benefits is seeing some of that cinema fans and that traffic going to other movie sites and other movie communities, and I really hope that is the case, but there’s still something about the ubiquity of IMDb as a service. It’s something that my parents know about. 16:12 Patrick O’Keefe: That’s funny, because my parents do know IMDb. They don’t know the average movie forum. You mentioned that point, there is no shortage of places to discuss movies in the general sense on the internet, of course, and one group that I think will benefit is well-run movie forums like MovieForums.com, which is managed by a friend of mine, Chris Bowyer. He was a previous guest on the show. We’ll link that up. He’s got this great, well-run community. They are having people from IMDb come in. As we’re talking right now, they have a 13-page thread on their forums for IMDb alumni. That doesn’t count them posting elsewhere, posting introductions elsewhere. So, yes, they’re filtering through, and it helps that he’s number one for movie forums on Google, probably, but it is filtering that way. So, as I talked about it with him, he’s got this community that’s well-run. So, these people who might be used to getting away with things on IMDb will not get away with it on his community. Those people will be filtered out, and he’ll still have a healthy community, just hopefully with a few more people. 17:05 Timo Tolonen: Yeah, here’s hoping. Another point that I thought was interesting, again, going to back their justification and talking about their audience and what they’re going to do for their existing audience and talking about moving those people over to social media, saying that their Twitter account and their Snapchat and Pinterest, YouTube, Tumblr. Aside from serving slightly different audiences at the moment anyway, I spoke to you briefly on Twitter about this, and my concern being that they haven’t learned quite the right lesson out of all of this, is the fact that it’s not a question of platform. It’s about how you manage that platform and what you do with your engaged people. It’s not so much about where you have them. It’s about what you do with them. 17:39 Patrick O’Keefe: Yeah. If you’re not serious about this, it doesn’t matter where you’re not serious at. It doesn’t matter. You can be not serious on Facebook and the same thing will happen. Or you can be not serious on your forums, and it’ll happen. Again, that sounds like a slam of IMDb. I don’t mean it that way. I’m sure they put resources and money and time and people, and I’m sure they’ve thought about this. The founder of the site is still at the head of IMDb. This is the person who started it. I’m going to get into some of his remarks in a second, but he has that feeling, I’m sure, for the community. Again, it’s not shifting, and I laugh to include Snapchat, as if that’s the same thing, as if there’s any kind of connection to people talking to one another and then subscribing to your Snapchat. To his credit, Col Needham, who is the IMDb founder, has been responding to some message board posts. In those posts, you get the sense that they haven’t really maintained the message boards very well. In one post, he says that they are coming to the end of a multiyear technology migration and that “almost the whole of IMDb has been rebuilt behind the scenes on a modern, scalable platform which can handle the traffic of a top 40 website along with two app platforms and a mobile site plus data exports to a whole host of other systems such as the Amazon Fire TV [set top boxes].” He said that people aren’t appreciating the scale. He refers to the “old boards software” and that the effort to “rebuild the board just did not make sense.” It’s referred to as this albatross, and it really sounds like, to continue the discussion that we’re already having, that they poorly maintained the boards to where they become this monster, that the effort to modernize and transfer the data is simply too much for them, even with the resources of IMDb, of Amazon, at their disposal. Which again, they have to take responsibility for, letting it get to that point. 19:24 Timo Tolonen: Yeah, absolutely. It’s interesting, because whenever I talk to young community managers or people getting started in the field or different communities and you have a community manager who’s feeling a bit held hostage by their community or, oh, the community’s gotten to this point or the community’s doing this or the community is this or that, I always have to remind them that if a community’s doing something or has become something, it’s the fault of the community manager, effectively. Either you were rewarding or recognizing the wrong behaviors or something else happened along the line. It doesn’t just happen overnight, and it also doesn’t mean that you’re stuck there. You can make changes. You can take ownership of the platform and the people on it. It’s a lot of hard work and it’s not easy, necessarily, and the solutions aren’t always readily apparent, but you’re never beholden to the direction you’re heading in at that moment. Then, hearing IMDb effectively saying the same thing of, oh, the platform was old. Or, this was going to happen and we were stuck in this one direction. Yeah, it’s a bit disheartening to hear. 20:21 Patrick O’Keefe: Yeah. I’m looking at their Facebook page now, and there’s a comment on their most recent thing. As we could probably predict, comments on their Facebook are about the message boards closing. This comment says, “When does this movie come out? September 22nd? Oh, great, I’m gonna watch it, and then I’m gonna go to your website to discuss about it with all the other IMDB users who watched it, too. To say what we liked about it, what we didn’t like, etc. Just like we’ve been doing for almost 2 DECADES now. Oh, wait… you’re shutting us down in a few days, right? You don’t want us to discuss movies anymore, right?” That’s not a disrespectful comment. That’s reasonable feedback. It’s true. He says two decades. When it comes to closing a massive, 18-year-old community, I feel like you have to give people more than two weeks to connect elsewhere. You don’t have to keep the boards open for that long, but at least create a carve out so that people with a certain number of posts, let’s say people who have made 100 posts, 500 posts or more, can connect to other people that they have this strong connection to through your site. Because some vacations are two weeks long. So, what? A decade-plus user of IMDb goes on vacation, comes back, and sees they are cut off from the friends they made years ago? That’s sad. 21:29 Timo Tolonen: Yeah. There doesn’t seem to be much acknowledgement of the human factor. It’s interesting, them not talking about super users. I’m sure that they have people there who are, like you said, have ranked comments in the hundreds of thousands and hours spent on the site will probably rank up in the years at this point and obviously, those people, yes, I fully appreciate that and understand that they are a fraction of a fraction of a percent of your overall engaged group of members. But those are the people that make the community in many ways, and having some kind of effort put towards them and their happiness, I would have loved to have seen in the statement or, like you say, having some kind of interim system that eases this transition. Two weeks, and telling people, oh, well. Go to social and you’ll be fine is not quite good enough for me. 22:14 Patrick O’Keefe: It’s not that much effort, and that’s the one thing that bothers me most about quick closures. It’s not that much effort to let people talk privately for a little while. Let people have a little private message system for three months, let’s say. It doesn’t have to be everyone. It doesn’t have to be someone who just joined. It doesn’t have to be someone who has one post. You can cut off spam. You can cut off new registrations to it. But people who have been there, give them a little space to say, okay, we can’t be here anymore. So, they’ll organize their own groups. They’ll go somewhere else. That’s fine. You don’t want them anymore. But just to cut them off, it always bothered me. It always seemed like the wrong way to treat a community, the wrong way to treat people. 22:48 Timo Tolonen: Yeah. It may be a bit hyperbolic, but you need a mourning period. 22:52 Patrick O’Keefe: Yeah. It’s not hyperbolic. It’s the truth. You think about a job you had for a decade that you leave. There’s a moment of sadness. You think about anything you have to stop. Change is hard. Again, my issue isn’t them closing it, necessarily, or that them saying they don’t want to do it anymore. I really feel like, first of all, they’re not being given enough responsibility for where it got to. Second, just the way they’re closing just doesn’t feel right. I don’t necessarily agree with the wisdom of closing it to begin with, but it happens. Needham says that they have “ideas and plans” for how their users can connect with each other in the future, but “it is important that those be separate from the boards today so we deliberately have not built them for an instantaneous switchover.” In a different post, he said, “I love our boards. I ignore trolls. I’m going to be sorry when the boards close. However, I am going to be more excited about the new possibilities which we can build and deploy once the boards are gone and are no longer slowing us down. As we like to say at Amazon, it is still day one.” So, they may be bringing back some social features, but they felt that like they couldn’t at all work with what they had with the message boards. Instead, had to blow it all up and remove all traces of the old one. 24:01 Timo Tolonen: Yeah. Again, a fresh start makes sense when you think about platforms, but when you’re talking about people, it becomes a much more complicated procedure. 24:09 Patrick O’Keefe: Yeah. Once all of our users are bots, it’ll so much easier. Twitter, what did they say, like 8%, they had to say one month were bots? I read an article the other day about how there’s this conservative guy. He’s 68 years old. He sends out hundreds of tweets every minute or something crazy, and it’s all prewritten stuff that goes through his queue. He hardly ever tweets. He sits down for a little bit once a day, sends some tweets out, and he’s one of the most popular conservative tweeters, apparently, or Twitter users. I don’t say tweeters. Twitter users. And he doesn’t even pay attention to the platform most of the time. It’s all automaton. So, yeah. It’s easy when that’s the case, but you’ve got a lot of real people here. 24:45 Timo Tolonen: Yeah, exactly. Looking forward to this internet future of chat bots and nothing else. Right now, the reason I like community is because it actually has people in it. 24:53 Patrick O’Keefe: Let’s switch gears. I want to talk about giffgaff. Before the show, you told me that without your community, giffgaff really wouldn’t have a business and that you had a community before you had a product or service. Explain that. 25:06 Timo Tolonen: Yeah. giffgaff came out of, basically, an O2 think tank around the time, 2009, towards the tail end of Web 2.0 and trying to come up with ideas. The guy who came up with the idea for giffgaff, Gav Thompson is his name, he had sort of an epiphany one night when he was looking for help with fixing his motorcycle at the time. He’d gotten a quote from a BMW garage and they told him that’s it’s going to cost him an arm and a leg to adjust his suspension. He was like, well, I’m not having that. I’m just going to ask some random people online, and he did so at midnight one night after a couple of drinks. What happened was, he immediately got some responses and not only did he get responses, he got this overwhelming amount of support from members on that community with pictures and everything else. He got a better level of service for free from the comfort of his own home, and that kind of gave him the idea of, okay, how about we translate this model into mobile? That’s where the concept of giffgaff came from. So, when launching, I wasn’t there for the early days, but the whole point was that in order for this business to work, it needed to have a community at the heart of it. It needed to be the core of it. When launching, it was very much primarily focused on customer support. We don’t believe in customers, so member support, I guess is a better way of saying it. Very much about peer to peer support. So, if you have a problem with your SIM or your service, you ask other members for help and they’ll help you out, and we make sure we reward and recognize our members for doing that. Thus, we don’t have call centers. We don’t have any kind of form of traditional customer support. Our members do it for us, and they do an amazing job. They respond faster and better than most call centers. So, we knew going in, that that’s what we needed to have at the core of giffgaff. What we did was, we launched the community first, even before we had our first SIM in the house. 26:49 Patrick O’Keefe: I like that story. It’s a fun way to do it. It’s interesting to me. I’m on the giffgaff community right now, community.giffgaff.com, and I like it. I like that at the bottom, there’s this live data. There’s 5,394 members online right now; 4,106 guests. Your average community response time is 90 seconds. When it comes to customer support, member support, like you just explained, it’s all the community for the most part, except for issues that are to do with personal information, billing, credit cards, what have you. That needs to go through someone and you have a team for that, but otherwise, any kind of technical problems, truly the community helping one another. uSwitch, a UK-based price comparison service held its annual uSwitch Mobile Awards on February 2nd, and giffgaff won a few categories. Perhaps most noteworthy for you, Best Network Customer Service, beating out companies like Three, Virgin, BT and, others. So, that has to feel good. 27:38 Timo Tolonen: Yeah, absolutely. It was the second year in a row picking that up as well, which is nice. The award from last year, actually, we sent it to our members and they’ve been passing it from one member to the other for a bit now, which is kind of a good, fun idea. We’ve been doing that. Yeah, it’s always good fun. Usually, when we have awards ceremonies for member support, or in this case, it was a customer support services, we tend to take members there to accept the awards on our behalf, because effectively, they’re the reason we’re winning. 28:03 Patrick O’Keefe: That’s really cool. You touched on the motivation for participating in the forums or on the support community. Part of the pitch of the company is that because we have member support, even after the rewards, even after these things, we are spending less on customer service. We’re not having those call centers. So, we pass that savings onto you. So, that’s a benefit. That’s a motivation. As far as direct motivation for people, you have a Payback program. Talk about how that works. 28:28 Timo Tolonen: Yeah. That was absolutely core at the very start of the things we do. Payback is a way for you to earn, well, payback, effectively. So, what we do is, no matter what you do on the community, we reward you for it. Now, payback is one of the things you do. You earn points. One point equals one penny. So, you get enough of those and you can start earning pounds. Effectively, you earn it every month, but every six months you have the opportunity to cash it out either through PayPal as cash, put it towards credit on your phone, or donate it to charity. So, we have a pretty good mix of people who do that. We also, as a company, we match whatever goes into charity every year. We’ve given out several million pounds at this point in payback every six months. Effectively, the money we spend on Payback is nothing compared to what it would actually cost to run a call center, but also, we don’t look at it from the point of view of call deflections, because we have nothing to deflect from. 29:22 Patrick O’Keefe: Exactly. I’m glad that you said that, because the funny thing about call deflection is that if you don’t have a unified database where you can tell the people, don’t go somewhere else, you’re not deflecting. So, it’s funny. You don’t have anything to deflect from. I like that. 29:34 Timo Tolonen: Exactly, and that’s kind of fundamental to how we approach things. So, Payback, it’s one of the primary ways we do things. Also, we’re very big on member getting member. If you have a giffgaff SIM, you can order more free SIMs for no cost and if you give one to your friend, you’ll earn five pounds and they will earn five pounds. That’s how we get a lot of our members, through word of mouth and referral programs. We actually have a super recruiter program. We have one guy in Spain who focuses on the students coming to the UK from Madrid, and he makes like £30,000 a year, basically, just giving out SIMs. He’s built his own little business empire in Madrid, which, again, makes for nice headlines, but for me, it’s more about the fact that it’s not so much a salary as it is a way to reward members for being awesome and really helping others. So, we’ve expanded Payback pretty much outside of just pure member support. If you’re just getting involved in conversations or you submit an idea or you just participate in a positive manner, we’ll make sure that you get recognized for that. You’ll earn enough payback in a month so that at least run your phone for free. 30:39 Patrick O’Keefe: So, they get points for, you said, everything they do. There’s a lot of things you can do. You can post, obviously. You can answer questions. You can get the best answer. You can give kudos. Those are some of the things I saw. Is it a different point scale based upon what happens? How many different things can you really get credit for? 30:55 Timo Tolonen: One of the good things with our platform and the amount of information we have is, we spend a lot of time crunching the numbers and seeing what people do and how many people they influence. So, basically, creating content that resonates with people. The more people view it, the more people kudos it. The wider it reaches, the more we reward you for creating quality content, and that’s how we do it. We always get people trying to come in and figure out how the algorithm works and game it every now and then. This year, one of our focuses with Payback is to make sure that everything you do to earn Payback is a positive. So, even if you show up to so-called game the system, all you’re doing is contributing positively to the community. 31:33 Patrick O’Keefe: Gotcha. So, what would be an example of someone getting rewarded for doing something negative? What’s a behavior you’re trying to stop? 31:39 Timo Tolonen: We have little barrier for entry. So, you don’t actually have to have a SIM with us in order to participate in the community. So, we have people who sign up and then use their accounts to just give other people kudos. Effectively, your Facebook thumbs-up, and they go around the community attempting to see if they can earn anything from giving other people recognition, and they don’t. But the people who receive the recognition still get something for it, because why not? 32:03 Patrick O’Keefe: Yeah. Just like the IMDb, there are solutions. 32:07 Patrick O’Keefe: There are always solutions. Okay, so you want to incentivize kudos? Okay. Well, first you have to have five best answers. Or a best answer. Then, your kudos count. There’s always little barriers you can put into place. Have you published any numbers as far as, say, you mentioned the person with SIMS, but as far as helping in the community? How much is the most person earning in a year from helping? Or what’s the average for someone who’s there on a daily basis? Let’s say one of your power users or one of the top 1% or five percent. Have you published any numbers like that? 32:33 Timo Tolonen: Not really. We try not to get too much into the financial side of it. It’s okay. It’s not a living, but it’s again, what you’ll find as well is, people tend to start because the Payback and tend to continue a little bit for the Payback, but our helpers do it just because they love helping other people and because we recognize them as super users and we work very hard to build relationships. They’re very integral to figuring out, what do we do next with help? How do we improve this process? Do you want to get involved? We invite them to come to our offices and we talk to them and we build those relationships. So, the Payback, money side of it—again, because you can only cash it out every six months, is secondary to the intrinsic motivations for a lot of people. For instance, one of our top helpers, a guy called Slows, he’s coming up close to having spent 2 million minutes on our community, which is pretty impressive. 33:22 Patrick O’Keefe: I would say so. That it is pretty impressive. I went looking for giffgaff subscriber members. I found a story from 2013 that said they were over a million. So, I’m assuming you’re over that. I’m curious about, you know how people pay for their phone plan by helping in the community? How many people essentially, they have their cell phone paid for? It’s not free, they put in the effort. Is it thousands of people? Is it tens of thousands of people that are in the community enough or they’re helping enough people where they are saving that amount of money every month where they no longer have to pay for their mobile phone? 33:51 Timo Tolonen: I would absolutely say in it’s in the thousands, potential tens of thousands. I never really looked into it. Again, I don’t really mind why you’re on my community. You don’t even have to be on giffgaff for all I care. Yeah, there’s a lot of people who do that. Again, like I said, it’s usually people’s first step of getting into of it. Oh, actually just by getting involved in fun conversations, I can just earn a little bit off my bill, or that kind of thing. Then, as people get more deeper into it, we try to work on them and let people know what the next best step is, that if you really want to take your Payback up a notch or just get more involved, we look for different ways for people to do that. 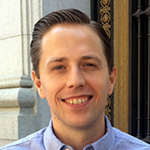 34:28 Patrick O’Keefe: You went through a community restructure in 2016, and the community team became more specialized. I love specialization within a community team. So, tell me about how it’s broken up. 34:39 Timo Tolonen: Okay, yeah. So, there’s a lot of history here as well. The most important thing to know is that we don’t have moderators. We have what we call educators, because we believe fundamentally that if you moderate, i.e. look for negative things to get rid of, you’re effectively endorsing or enforcing that behavior. That if the way you get in touch with official giffgaff staff is by misbehaving, that becomes a snowball effect. You see this in a lot of places, where it is very much about moderation, and that’s, I feel, a place where trolls get to really flourish when the only time you get to talk to somebody from the company is by misbehaving, you’ll want to do that. So, we took a different stance from the one where we said, okay, we’ll deal with the bad stuff when we have to, but let’s try to make that into 10% of our time. The other 90%, let’s spend it on promoting and rewarding and recognizing and encouraging and championing the awesome people doing great stuff in the community. So, it’s all about positive reinforcement. What we also do is, it’s becoming more of a challenge as we grow as a community, obviously, but we build personal relationships with our members. When it even comes down to effectively having to tell somebody off, it’s not so much us reaching out to a person we’ve never spoken to or them hearing from staff member 24 or whatever, who they have never heard of. It’s more a case of, hey, it’s me, Timo. Hey, John. What’s going on, man? You said this. That’s kind of not cool, because of x, y, and z. A lot of times, we’re able to have conversations instead of moderation. That’s fundamental to how we’ve done things. We have a big educator team who effectively, their job is to build relationships. Initially, we rely on the community to let us know when people are breaking the guidelines. So, we never actively go out looking for anything. We have basically, we rely on flags from the community letting us know, hey, come check this out or have a conversation with this person, so on and so forth. What we look for are the positive people to highlight and promote. So, that’s the absolute core of what we’re doing. In 2016, we realized that we had a lot of people who were very good at that side of the job, of day-to-day, one-to-one relationship management and keeping the community going. The other half of the role, which was more of this specialism, more of, how do I help 100 people? How do we take our ideas platform into the next level? How do we better in rewards or recognition? When your role is mostly about that one-to-one relationship building, it can be really hard to find the time to deal with that. We realized that our educators were being pulled in two different directions. What we decided to do was, the people who are here and who are interested, let’s give them a bit more freedom to actually start focusing on their specializations, working on these bigger projects that deliver more on the wider strategy for community. What we did was, on the flipside of that, we decided to hire people who are purely dedicated to education. A couple years back, we have an agent team who deal with the more traditional, like I said, billing issues and things like that that community can’t deal with. They moved to a primarily working from home system. They’re based in Northern Ireland. They’ve done an excellent job. What they found was, once they moved to working from home agents, their satisfaction surveys improved greatly, both with our members, but also with the employees themselves, that people had the freedom of working from home, setting more of their own hours. Generally, it was a massive success. We took that model and decided to apply it to community. What we have now is a team of working from home educators. It’s a small team at the moment. It’s four people with one person leading it. All of these four people were community members. We put a call out to the community, found the people who’d always been curious about working for giffgaff or spent a lot of time on the community and knew people there. They had these previous relationships, but wanted to take a step up. We interviewed and found the right people. So, that’s the core of it. We have this working from home educator team, and we’re looking to expand quite a bit and make that into the core foundation. That’s a very long-winded way of explaining it, basically. Next up, what we did was then, we specialized into our different categories looking at the overall objectives and goals for community and giffgaff. You have myself as head of community, but then I have people who are focused on different areas. We have our help and support, which is our bread and butter, like I explained. We have a person responsible for our ideas platform. So, labs.giffgaff.com. We have a person responsible for engagement and more of the UGC side of things, member-generated content. Finally, we have a person looking purely after rewards and recognition to make sure that the payback system is working as hard as it can, but also, we’re looking outside of that system to reward and recognize our best members. 39:07 Patrick O’Keefe: I like that. First of all, I want to call out something you said and something that I really believe. Moderation is education. It’s great you call it that. It’s great you call it educators. I have never made that leap, but what I tell people about moderation is that it’s not necessarily a punitive thing as much as it an opportunity for everyone to get on the same page. So, the way you write those messages is crucial. It can come across as punitive, or it can come across as, hey, in the future, this is how we handle these issues. It’s more of an educational thing. I totally love that. I also like the idea of the team breaking up. Just to recap, yourself at the head, then there’s help and support lead plus team. Ideation lead plus team. Engagement lead plus team. Rewards and recognition specialist, and then working from home educator lead plus team. So, all those are fairly clear to me. So, help and support, is that focused on the support community itself and how member interact? Is that what that’s about? 39:57 Timo Tolonen: Yeah. When we look at help and support, it’s a couple of different factors. We look at people looking for help, but we also look at our helpers. So, those are the two main audiences that we serve with that team. We also have basically, in addition to the community area where you ask for help and we have our helpers helping, we have a robust knowledge base, which effectively works as a Wiki. So, we have a member group who are effectively responsible for keeping the knowledge base up to date. Whenever make changes or we have new products of services that happen or any changes in the market, they’re the ones who are responsible for overall upkeep of the Wiki. That indexes really well on Google and also within its own internal search. That’s a core part of the people seeking help, because you obviously have the people who will look for self help and the people who will ask questions, and we try to serve both. 40:43 Patrick O’Keefe: And engagement. You mentioned UGC. Is that like taking UGC out of the community and escalating into marketing campaigns and other feature promotions, more of a content thing? What does engagement mean in that context? 40:55 Timo Tolonen: Well, you nailed it right there. That’s very much about, it’s kind of everything. We have a lot of member-led competitions. We do real-world events. We’ve been doing this thing which is a yearly member awards ceremony. That’s a big part of it. The Run By You awards that we’re doing this year. That’s a big of that. Yeah, absolutely. It’s very much a focus of, how do we take some of these awesome things made by our members and put them in other channels, make our member famous and also give them better tools to make better content? Again, for the best logo in the world, we have a lot of people who are super keen, but they’re not graphic designers and they never will be. So, getting them a Photoshop license is not actually going to do anything. We’re trying to build more intuitive tools so they can create cool content that we can then share in our channels and they can get more involved. 41:41 Patrick O’Keefe: I love that. I love the idea of, some teams might just keep adding community managers. Maybe they would have some level of specialization based upon content or protocol, but for the most part, they’re doing the same work, just 10 times. Not that that doesn’t make sense in some cases, but I like to see people pushed in directions of saying, if all 10 people have to measure data in some way and have to run reports, why don’t we just have one data scientist on the community team who does that for the whole community? Instead of having 10 people doing that in their own protocols? Why don’t we you have someone who’s focused on ideation? Why don’t we you have someone who’s focused on rewards and recognition? For me, I think that makes a lot of sense. I like to see teams divided up that way. 42:21 Timo Tolonen: Yeah. What we’re also doing is, this is still, much like everything else we do at giffgaff, this is a grand experiment. We’re currently looking at the structure and it’s working really well so far, but we’re looking at those, like you said, we’re looking to see if there are any gaps that we need other specialists to plug in the holes that we’re currently missing. So far, it seems pretty okay. We have some thoughts of maybe some other people we need. When I read that, for me, I go back to the start of your statement. People. Because when I’m a member of a community, and I’ve been a member of many communities. I’m not just the president, I’m also a member. Not of the Hair Club for Men, thankfully, but of many online communities. When I’m a member of community, it’s usually in a specific place and I know the people. I was a member of the SitePoint Forums. I knew Brandon and Chrispian and Stephan and Brad. Brad Williams, who’s been on the show before. But if you send me to an offline event or a Facebook page or a Twitter account and I don’t see them or I don’t see anybody I know, I don’t identify that as the community and the experience I know. That’s what I thought right away. I’m curious to hear, what are you thinking as far as how to make that, I guess, experience more of a reality? 44:17 Timo Tolonen: If I knew that, I’d be a happy man. I’m trying to figure that out myself. Yeah, it comes down to the fundamental thing of, I see amazing community members and just giffgaff members. Or just members of any community, really, in these different areas. You have somebody on Twitter and they’re doing amazing stuff. They really love Twitter because of their own personal connection to it, or the format or something about it that really resonates with them. Then, you see somebody on the forum using that platform the way it’s intended for long form content you really putting their heart and soul into it, you can tell they love it as much as that person loves Twitter. Those two people, if they got into a room together without platform, in real life, they would have so much in common, and so much to talk about and they would get on like a house on fire. The only reason they don’t is because the forum user never wants to use Twitter, and the Twitter user doesn’t want to use forum, and the twain shall never meet. I want to find, what is that interstitial way of how do we introduce people to each other and find those ways of getting those connections going? Even if it isn’t a one-to-one connection, I want to be able to share the content and the best parts of every platform with the people, because that’s what really matters at the end of the day. It’s about using the strengths of one platform, putting in front of people. We have a very traditional, especially on our help side, we have a lot of very traditional forum users who love it because it’s all text and none of these frilly images or anything like that. They see Snapchat and they are extremely dismissive of Snapchat by just pure virtue of the fact that it’s younger people and it’s a pure visual medium. But there’s so much content on Snapchat that they would actually love if they gave it a chance or if we wrapped it up into more a palatable format. Those are the things that I’m trying to find ways of doing, and how do we get, especially our helpers. How do we get those amazing helpers with the 90-second response time and millions of minutes online, how do we get their brains and their expertise in front of people who will never be able to get over the hump of actually posting into a forum? Who might be tweeting at us, but the best support we can give them is connecting them to these members. Those are the kind of things that I’m trying to figure out. I don’t think solving a platform problem with another platform is the solution. I haven’t quite figured out the actual solution is you yet. 46:27 Patrick O’Keefe: Yeah. It’s an interesting, I don’t know, is it existential? It’s an interesting question to ponder, because I’m not necessarily convinced that there is an answer, but then, there could be. I think you’re smart to say forums are great at this. Twitter’s great at this. Because what I see sometimes that’s short sided is, I see people who say, I would never use forums. Forums are outdated. I’m like, well, you might not, but for a lot of people, that’s a really comfortable format. That’s a format they really are familiar with. They really know, and they really understand and they really see the value there of participating over a long term and building up credibility in a community and how you can search a community, and how it’s organized. It’s very different, and in many ways, I would say better for this type of function than Twitter is. Of course, many people use Twitter for support and even demand it in many circumstances where they expect it now, that they should be on Twitter to support them. There is something about going to where people want you to be. Answering in the way they’re comfortable asking, but you can’t get over the fact, and you touched on this, that there is this—I always like to say that the people who know the topics best are more often than not people that you find in a dedicated online community, in that destination. I don’t know if you feel that way about giffgaff. I think you do from what you just said. The amazing knowledge in the community, but I run a martial arts community, and if you go on that community and talk martial arts, you’re going to get a much deeper discussion than you’ll get if you just throw a question out on a Twitter with a hashtag. Or if you join a Facebook group, because Facebook, even in groups, is more short. Just because of the medium. People look at it in more of a short way. So, the most definitive, authoritative, passionate, in many cases, the biggest money spenders—if you think of a fishing community, the people who spend money on tackle boxes and rods and reels, those are the same people who are spending hours talking about it in an online community. These are the people who know it. So, how do you get those people who will never set foot into that medium to see that knowledge? People would say, yeah, tweet out some good topics. Tweet out this best discussion. And yeah, that’ll work for some, sure. But most won’t bother to click the link. And with Twitter, most won’t even see it. So, it’s such a funny question, a territorial question, and question that really gets at how people participate online in so many different ways. 48:37 Timo Tolonen: Yeah, absolutely. As a lifetime lurker of forums, it’s an interesting one, because yeah. I will go into forums because I know that’s where I will get the wealth and breadth of information about any particular topic, but the barrier for entry for me is not so much the platform, but it’s the fact that I spend a lot of time trying to figure out, what’s the etiquette here? What’s the way to get involved in the this conversation? Is this even a conversation I want to get involved in? You’ll find me reading a lot of that content, and that’s some of the audience that we want to concentrate on. We talk about our super users, that we actually include our readers in that. We very much spend a lot of time about, okay, we have this silent majority who are consuming content like crazy. How do we make sure that they’re getting all content they need? And maybe they can do some of the heavy lifting for us, of convincing some of their friends through word of mouth or putting it into a more palatable format so we’re not the ones figuring it out, but rather getting the right people to see it, to share it, with their groups who might exist outside of the forum? But yeah, you’re right. It’s a challenge, of much to your point. I’m not sure if there is a solution, but I want to give it a stab anyway. 49:38 Patrick O’Keefe: Yeah. Nothing is ever accomplished if you don’t try, if you don’t think about things. So, we need to do that. You thinking about that authoritative content, those of us who manage communities like this, whether you call it a forum, a hosted community, a platform, whatever it is, a lot of us understand and people may not realize looking from the outside, maybe that data’s not public. But the view counts on some discussions can just be insane based upon how it ranks in Google, because Google still does love communities and forums and posts. You might find the best answer to a question in a forum from 20 years ago, if that question is something that hasn’t changed. It’s hasn’t be affected by technology or the latest OS update or something. Google sees that. They see people click on that link, and they keep it at the top, because it’s definitive. It’s authoritative. People don’t come back. They don’t click for another link. They just found what they needed. So, the view counts and those topics, a topic might have five replies and 5 million views. It’s kind of crazy to think about it that way, but it’s absolutely true that the best answer to a question could be on some random internet forum and people will you find it through Google. 50:43 Timo Tolonen: Yeah. To loop it back to our IMDb conversation, I imagine how much of that is lost. If I were to punch in The Third Man into Google now and maybe another search term about the themes of the movie, would that lead me back into IMDb and a message board and discussion about that movie and those themes? Again, it’s something that they’re losing on, is potentially getting rid of some of that history. 51:03 Patrick O’Keefe: That is a great tie-in to the start of the program, and I think we’ll wrap it up there. Timo, thank you so much for joining me on the program today. 51:11 Timo Tolonen: Thank you very much, Patrick. 51:11 Patrick O’Keefe: We’ve been talking with Timo Tolonen, head of community at giffgaff. Visit their community at community.giffgaff.com and follow Timo on Twitter @TimoTolonen. For the transcript from this episode, plus highlights and links that we mentioned, please visit communitysignal.com. Community Signal is produced by Karn Broad, and we’ll be back next week. Just stumbled onto this via reddit whilst reading a topic on the imdb board shutdown. Thank you so much, Sami. I’m glad that you enjoyed the episode. Thanks Coizado. I appreciate it.